Nearing his fiftieth birthday, Crowe has been released from prison and has headed back to Memphis. Whilst inside the ‘Old Man’ has died, a more brutal leader has succeeded him, and the criminal landscape has changed. The new leader might have ordered a hit on Crowe when he was in prison, but after the death of his wife to a religiously inspired serial killer he wants him to use his talents as an enforcer to exact revenge. Crowe is prepared to oblige, but also has revenge in mind. His plan, however, is violently derailed and he finds himself up against a radical Christian sect who have ‘rescued’ a set of serial killers to do ‘God’s work’. 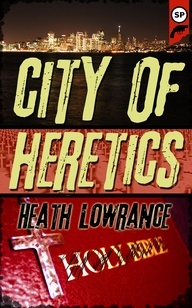 The strengths of City of Heretics are the principle character of Crowe, the sense of context and place, and the general story arc and hardboiled nature. Crowe is getting on in age, but is unwilling to hand in the towel, and despite not quite being as robust as he once was he has the wits and experience to hold his own. And he’s not about to let pain and poor odds get in his way, despite being put up against his own past and a gaggle of serial killers loosely controlled by a religious group. The narrative has a nice pace as it builds to bloody climax and I loved the closing couple of pages. That said, it took a little while before the book clicked into place and I was firmly hooked in; I had a hard time buying the character of Rad; and I found the prose a little uneven at times, sparkling in some places and a little flat in others. Admittedly, all minor stuff in the grand scheme of things. 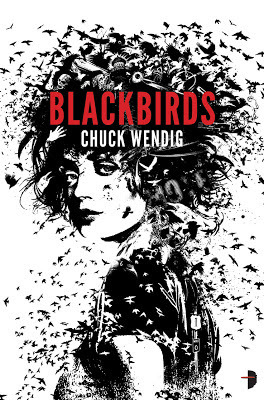 Overall, an entertaining hardboiled tale that turns into a real page turner with an ending that makes me want to read the sequel, assuming one is in the pipeline. 1947 in Melbourne, Australia, and Charlie Berlin is back working as a detective after serving as a bomber pilot in the Royal Australian Air Force, flying night missions over Germany. He’s returned to find himself at the bottom of the pile, his colleagues having advanced whilst he was away, and with a head full of demons after being shot down and housed in a prisoner of war camp in Poland. When the railway payroll is yet again robbed, he’s packed off to the small rural twin-town of Albury-Wodonga to investigate. By sending him alone to solve a case that has already confounded others it seems that his bosses have set him up to fail, and the local cops are hardly welcoming of the arrival of a city detective. From his base at The Diggers Rest Hotel, Berlin sets about tracking down the armed gang of robbers with the help of a rookie constable and a beautiful, feisty local reporter, who both see Berlin and the case as a way to better things and places. Berlin though is not just taking on the gang, but also the memories that haunt him, especially the horror of the anti-aircraft fire, the death march back towards Germany from his Polish camp, and the execution of a young Jewess. 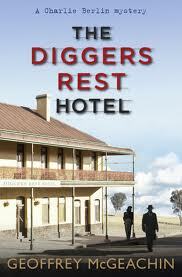 The Diggers Rest Hotel won the Ned Kelly Award for best crime fiction novel in Australia in 2011. McGeachin drops the reader into rural Australia in the immediate aftermath of the Second World War, with its small town politics, social unease about change, and folk traumatised through what they’d experienced or lost. He is especially strong at characterisation, populating Albury-Wodonga with an interesting set of people, all struggling in some way to make do, or get on, or come to terms with the past and the present. In particular, Charlie Berlin and Rebecca Green make for an enjoyable, feisty pairing. Add in a compelling storyline of Berlin investigating a set of payroll robberies by an armed gang and you have a very nice mix - a strong sense of place and historical and social contextualisation, wonderful characterisation, and interesting plot, told through engaging prose. Although the resolution was credible, the only slightly jarring element was the ending, which seemed to come about ten pages too soon and left a couple of threads dangling that are hopefully dealt with in the next book in the series. Overall, a very enjoyable read on several levels. We watched a thoughtful and moving Japanese movie last night called Departures (which won an Oscar for best foreign language film in 2009, and loads of other awards). 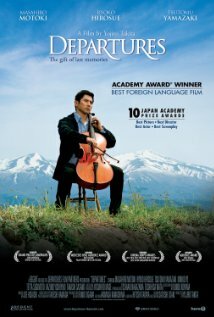 A young man loses his job as a cello player in a Tokyo orchestra and moves back home to his small town with his wife. Seeking work he answers an advert to work in 'departures', thinking it might be a travel agency. Instead, it is to undertake the ritual of preparing the dead for their coffin. Given the taboos concerning death in Japanese culture, it is a job that few people want, including the young man. But it is work and it is cathartic and allows him to see the world afresh, even as those around him shun him. The film was beautifully shot, well acted, and had a very good script. One of those films that makes you think about life - and in this case, also death. I'd recommend to anyone who enjoy reflective, thoughtful movies. ‘What’s there to think about?’ the dealer asked. September 1943 and Wehrmacht Major Martin Bora wakes in an Italian hospital minus a hand, with the doctors fighting to save his leg, a victim of an attack by partisans. The Italian government have recently switched sides, dividing the country into two, with the North still controlled by the Fascists. As he starts to make his recovery he is asked to help the local police investigate two cases: the murder of a local Fascist hero, and an escaped mad man who has taken to killing people indiscriminately. Reluctantly he agrees, forming an uneasy alliance with Inspector Sandro Guidi, aware that the case is politically charged and that he still has to perform his usual duties. The murder seems a relatively open-and-shut case, the main suspect being the victim’s young widow, but neither Bora or Guidi are convinced of her guilt, though for different reasons. The real strength of Liar Moon is the character of Martin Bora and the moral ambiguities around his persona and actions. He’s reserved yet direct, determined, ruthless, and principled, driven by a deep sense of conviction and his aristocratic family tradition. He’s a soldier in an army of a corrupt and corrupting regime, trying to hold the line between murder and killing, on the one hand relentlessly hunting down partisans and on the other subverting the hunt for Jews. And losing his hand and nearly losing his leg is not going to slow him down. Moreover, he remains loyal and dutiful to his wife, despite their failed marriage. My sense is that regardless of the storyline, he’d be an interesting character to spend some time with. In Liar Moon, Pastor places him in an interesting historical terrain - Northern Italy just as Italy changes sides - and pairs him with an Italian police inspector to investigate the death of a local Fascist. She creates a nice sense of place and history, and captures the awkward relations between Axis allies. For the most part the plot worked well, but faltered at the resolution, which was contrived and came too much from left-field. This was a shame as the story was coasting along very nicely up to that point. Nevertheless, this was a thoughtful and enjoyable tale and if the other books in the Bora series are translated I’ll be reading them in due course. The formal announcement of my ERC Advanced Investigator award has received a whole bunch of media attention today. Here is the TV piece from the six and nine o'clock evening news on RTE1. Earlier, I did radio pieces on Morning Ireland (RTE Radio 1) and KFM. The Irish Times covered it twice (here and here), and there were pieces in the Irish Daily Star, Journal.ie, Silicon Republic, Tech Central, and Business and Leadership. A nice parcel turned up in the post today. Five crime novels from the US, all of which I picked on the basis of recommendations and best of 2012 lists. Now I have to work out where to slot them into the to-be-read pile, though I'm saving Devil in a Blue Dress for my trip to LA in April. The winter of 1947 and London is in the grip of a big freeze, with limited fuel supplies and food and clothes restricted by rationing. Peter Cotton has been reassigned from colonial intelligence in the Foreign Office’s Colonial Service to Operation Sea-snake, designed to try and protect valuable assets from American pressure to tighten security and the homophobic and paranoid attentions of MI5, MI6 and a MP who has established his own intelligence network. One such asset is Alexander Watson, an atomic scientist who is vital to Britain’s attempts to join the nuclear age, who picks up men for fleeting sexual encounters. Aided by Derek, a rent-boy in South London, and Sergeant Dickie Dawkins of Special Branch, Cotton tries to keep a watching brief on Watson and others, but then the scientist is arrested and he is pulled into the murky world of inter-agency rivalries and their hired help in the form of a pair of Glasgow razor boys. The issue is no longer simply protecting Watson, but how to also protect himself. Icelight plunges the reader into the frosty world of London in the Winter of 1947 and the emerging cold war. Monroe creates a vivid sense of place and of social history, with the shortages of just about everything, the black market, and the feeling that Britain is teetering on the edge of a new age, shorn of its empire and beholden to its ‘special relationship’ with America. And as relations with the Soviet Union sour and a new political war starts, Monroe focuses on the tensions, rivalries and paranoia that flower within and between British intelligence agencies. She does so through a captivating but, at times, complex and convoluted plot that involves a fairly large cast of characters. I don’t mind admitting that occasionally I felt I was wandering in icelight, and at a couple of points I stopped and backtracked to reposition my bearings. What holds the book together is the premise, some lovely passages of writing (I thought the scene with Cherkesov in a restaurant was wonderful), a general sense of social and historical realism, and some nice characterisation. Cotton is an interesting lead character, who is worldly, shrewd and standoffish, and is complemented by the more earthy Dawkins, and the other characters are well penned. Overall and intriguing and entertaining read, that whilst complex is thought provoking and nicely resolved. 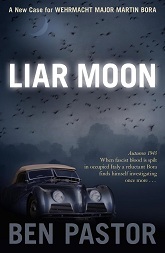 I've just finished reading Liar Moon by Ben Pastor, set in 1943 in Northern Italy and featuring Wehrmacht Major Martin Bora (review to follow this week sometime). The first book was Lumen set in Poland in 1939. Both books are interesting because they explore notions of honour and morality in a time of war; Bora, for example, is prepared to kill but not murder; to hunt partisans but not send Jews to their deaths (or at least give them the opportunity to escape). According to Goodreads there are eight books in the series, and if the rest are translated from Italian, I'll probably work my way through the set. As yet, I can't see any plans on the Bitter Lemon Press site for the third book to be released, but I'm hoping that it's in the pipeline. In a small rural town in the backwoods of Vermont Sheriff Wingate arrives at work to find a young woman sleeping in her car, clutching a paring knife. Lillian claims she is being stalked by Blackway, a local bad cop who lost his job after she complained of being shaken-down. There’s no evidence though that it was Blackway that smashed up her car and killed her cat. Wingate’s advice is to leave town before Blackway escalates the violence, but the woman is not going to run away like her boyfriend; she wants Blackway dealt with. The sheriff sends her to an old sawmill where some of the town’s men gather to drink and chat to ask for their help. They send her off with Lester, a wily old-timer, and Nate the Great, a massive young man with more brawn than brains. Whilst the pair feel they are a match for Blackway, Lillian is having second thoughts, but once they’re on his trail there’s no backing out. Go With Me is a country noir novella, full of atmosphere and sense of place. The great strength of the book, however, is the characterisation, dialogue and prose. Freeman’s style is all show and no tell, and with a few deft sentences he paints a vivid picture. The dialogue is absolutely spot-on, with some very well penned scenes where people are talking over and past each other, or at cross-purposes, or where conversations have nice elliptic loops, and sometimes all of these at once. The story itself is divided in two main strands. The first is Lillian’s quest to deal with Blackway aided by Lester and Nate. The second is four old timers chatting about their chances of success as they drink the day away in the mill. They are nicely complementary, the second providing a kind of contextual commentary on the first. The plot moves at a relatively swift pace to a tense conclusion. Whilst the book worked very well as a novella, and would provide a very good basis for a movie, my sense was the story was a little too linear, with no twists or turns or subplots, and if worked up into a longer piece could have been exceptional. 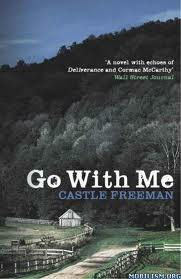 Nonetheless, Go With Me is an engaging and enjoyable slice of country noir. Yesterday a colleague asked if I could recommend some crime fiction set in 1930s-1950s. I jotted down a bunch of suggestions on a sticky note. Last night I decided it would be better to email her links to various reviews and then decided I might as well share it here. 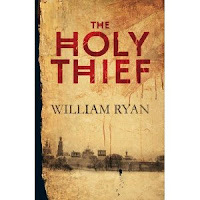 So, if you're interested in historical crime fiction in this period, then you might like books by these authors (I've only picked one book per author, but there are others reviewed on the blog if you search for them). If you have any other suggestions, please leave a comment. After a protracted process and quite a bit of frustration, The Diggers Rest Hotel by Geoffrey McGeachin and A Decline in Prophets by Sulari Gentill, arrived via its second courier from Australia yesterday (thanks, Pauline and Cian). As I've noted before (here and here) it's blumming difficult to be fair dinkum about Australian fiction when it's nigh on impossible to buy! Now I've managed to get my hands on these, I'm looking forward to tucking into them. 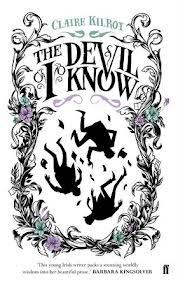 The Devil I Know is a Faustian, allegorical and satirical tale of the boom and bust in Ireland told through the eyes of Tristram St Lawrence and his tragic foray into property development in the dying days of the Celtic Tiger. Setting the book in the two weeks leading up to the centenary of the 1916 uprising, the catalyst for independence, and using the narrative form of a testimony at an inquiry were inspired choices, setting the excesses of the Celtic Tiger and the loss economic sovereignty against the quest for self-determination, and framing the tale so it speaks directly to the reader. Kilroy’s prose is light, expressive and witty, and she keeps the story moving at fair clip. The plot captures the characters (the deluded, naive investor; the jack-the-lad builder/property developer; the social climbing wife, the crooked politician; the greedy corporate financiers; and the faceless European backers), scams, sentiments, rhetoric, politics and naivety of the boom and the disbelief and unworldliness of the crash. The only bits that seemed to jar a little were the ending, where the story switches to a slightly different, more fantastical register, the lack of any ordinary folk and their role in the property frenzy beyond one scene where they clamour to put down deposits on shoe-box apartments, and the Anglo-Irish background of Tristram, who is portrayed as something of an innocent and deluded dupe, swept along by the party; the Anglo-Irish gentry are not traditionally played in this victim role, although the inversion is interesting in and of itself. Overall, an entertaining and enjoyable tale of modern Ireland’s rise and fall. 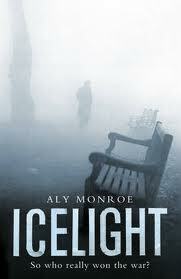 I bought Icelight by Aly Monroe and Ratlines by Stuart Neville yesterday in the local bookshop. 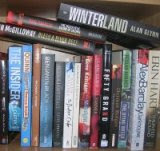 Given I'd just finished Castle Freeman's Go With Me, I decided to moved Icelight to the front of the TBR pile. I'm a 130 pages in and enjoying it, but I'm wondering whether I've made a mistake reading book three of the series without having read books one and two. The main character, Peter Cotton, is a bit of enigma and I suspect I would have a better handle on him and his backstory if I'd read the first two. Oh well, nothing for it but to keep going and backfill at a later date. Do you read a series in order or skip around? My full review of Icelight is here. Shivering. Teeth chattering. Breath steaming in the cold night air. In the distance a sharp whistle answered by two barks and barely audible voices. Pinpricks of light dance through bare branches. 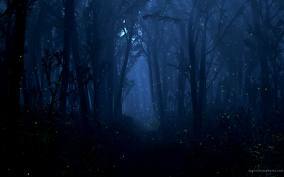 Losing his nerve, Lonny tumbles out from his hiding place and sets off through the forest, his thin clothes and brittle skin snagging on brambles. Another whistle, this time closer and to his right. He veers left, his foot catching on a root, and tumbles into wet leaves. Cursing he rises and hobbles on, knowing that he should have never had stopped; that the game will soon be up. After the death of his wife two years previously, Joe Geraghty has been trying to put his life back together again, working as a private investigator in Hull. He’s been hired by a local business man to investigate an employee’s absenteeism. On the night he’s jumped and mugged, the woman he has under surveillance is murdered. Initially considered a suspect, he starts his own investigation into her death. Married to a prime mover in the regeneration of Hull, the woman had a tangled personal life, including dealings with Frank Salford, a racketeer who has seemingly gone straight. Salford is also a key figure in the other case he’s looking into, that of a woman who disappeared a number of years earlier. Along with his colleagues, Don, a retired cop, and Don’s single mother daughter, Sarah, Geraghty works to solve the cases, sometimes working with the police, other times ploughing his own furrow. The strength of Broken Dreams is the contextualisation and sense of social reality concerning Hull, its decline and faltering regeneration, and its people. Quantrill doesn’t romanticize the city, portraying its gritty urbanity, yet he clearly has soft spot for the place. Geraghty is a likeable enough character who is tenacious, slightly vulnerable, and doesn’t always take the most sensible course of action, and the other characters were well drawn and engaging. The writing is fairly workmanlike, but has good pace and is all show and no tell. For the most part the plot worked well and was quite compelling, with a good entwining of the main and subplot. However, there were a couple of editorial niggles that seemed to jar a little and the ending seemed to fall apart somewhat. On my reading, there seemed to be only two incidental clues pointing to the killer - neither enough on their own or together to prompt the conclusion that the person was guilty of murder. Moreover, there was no material evidence and no basis for a confession; Geraghty seemed to just intuitively know who it was. This was a pity as the plot had been unfolding nicely until then with several potential suspects in the frame. 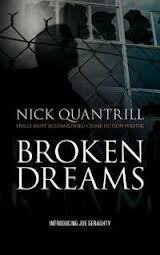 Nonetheless, Broken Dreams is an interesting PI tale and a promising start to the Geraghty series. Picking my favourite cover of 2012 was a relatively straightforward affair. Chuck Wendig's Blackbirds is both striking and clever. A really brilliant piece of artwork. If only all covers had this amount of attention. I also have to say that I really liked JT Lindroos cover for my own book, 'Killer Reels' - another striking and clever image. I've been having a browse back over my best reads selections for the last four years. There's three sub-genres of crime novel that I clearly like more than others: literary, noir, screwball noir, twentieth century history (esp. 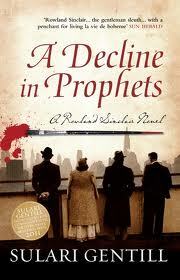 1930s-1950s) - fiction that is dark, humorous and philosophical. 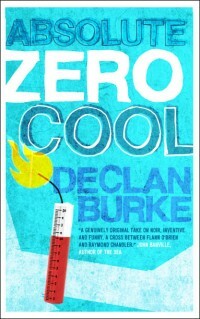 Absolute Zero Cool by Declan Burke pressed all three buttons, as did We are the Hanged Man by Douglas Lindsay, The Mystic Arts of Erasing All Signs of Death by Charlie Huston, and Secret Dead Men by Duane Swierczynski. Two of those buttons are pressed by books such as Crooked Letter, Crooked Letter by Tom Franklin, Brodeck's Report by Phillipe Claudel, Field Grey by Philip Kerr, Mixed Blood by Roger Smith, The Cold, Cold Ground by Adrian McKinty, The Holy Thief by William Ryan, Small Crimes by Dave Zeltserman, The Ones You Do by Daniel Woodrell, Half Blood Blues by Esi Edugyan, The Postman Always Rings Twice by James M Cain, Istanbul Passage by Joseph Kanon, The Foreign Correspondent by Alan Furst, Alone in Berlin by Hans Fallada, and I could go on. Now I like lots of other types of crime fiction as well, but these kinds of books are consistently amongst my favourite reads. 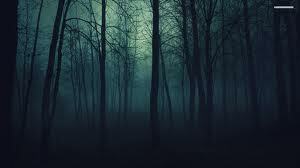 What I'm after is suggestions for authors/books that fit the 'literary noir' label; books that make you think about life rather than simply being entertaining. Recommendations? Athens based, private investigator Alex Mavros specializes in finding missing persons. When the star of a Hollywood movie being filmed on the island of Crete refuses to continue playing her role until her missing assistant is found, Mavros is flown in to track her down. The movie - Freedom or Death, about the invasion of Crete by elite German paratroopers in the Second World War - has stirred up bad memories, especially between an elderly English and former SOE agent and the German owner, and former paratrooper, of the hotel where the movie crew are staying. The former accuses the latter of war crimes, yet the latter is well regarded having contributed millions to the local economy and preserving heritage, and the former lives in a lawless enclave in the hills. As Mavros starts to investigate the woman’s disappearance he’s soon caught up in other local rivalries in the movie team, local politics, and criminal gangs, and also co-opted by the German hotel owner to recover some stolen ancient coins. Within a couple of days, however, he has recovered the coins and the traumatised missing woman but at the cost of a deadly vendetta. Moreover, he’s discovered that his own father played a pivotal role in the resistance against the German occupation, a role that has been falsely rewritten. The Silver Stain uses the context of the making of a Hollywood movie about the past to examine both what happened then and its present day repercussions. Johnston does an excellent job of keeping both the past and present in frame, using the tale to illustrate how the past is variously remembered, used and contested, and how its legacy continues to rumble on. As such, the historical and political context and sense of place are particular strengths of the story, as is the characterisation. There is a fairly large cast, but each actor is well penned and vivid, and Mavros is an engaging lead character as the wily detective. The storyline itself is compelling, however, the plot strays towards being overly complex, with a large number of subplots, and it depends on an awful lot of coincidences to work. Moreover, Mavros too often succeeds where the odds are stacked against him, which pushed the narrative towards Indiana Jones territory a little too often. Whilst these plot devices create a lot of action and twists and turns, they also undermine the credibility of the story, particularly in the latter third. Less, I feel, might have been more. 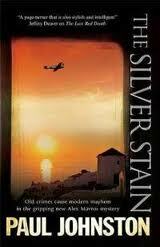 Nevertheless, The Silver Stain is an entertaining and enjoyable tale that rattles along at a fair clip. I took receipts of the proofs for the Oxford Dictionary of Human Geography this morning. 2,104 entries across 585 pages (315,000 words) which have to be diligently read by February 1st. Along with first semester exams and teaching a full module over the third week in January they should keep me busy. It might be a quiet month of book reviewing, though I have two lined up for later this week. So the first week of the new year has already zipped by. Although I've spent it in rain soaked Ireland, virtually I had a few pleasant days in Crete courtesy of Paul Johnston's The Silver Stain, the review of which I'll post sometime next week. A week of reading in the winter sun would be nice right now. Instead, I'll be spending the coming week reading and marking exam scripts under grey skies. Oh well. Do we need to start building houses again? Four four time. Perfect. Sometimes it plays in a weird rhythm. Five eights or ninths. Like strange Asian music. Sitting on the damp concrete, my back against the mildewed wall, I tap out a beat on my knees, my foot tapping an imaginary bass drum. .. and I add a jazz flourish. You never can quite trust the slow leak. It used to drive me half demented. Now it’s the soundtrack to my life. The editors over at Spintingler Magazine have put up their best of 2012 reads. I'm delighted that my short story, Nearly Extinct, which was published at All Due Respect in September, made one of the lists. A warning before you visit their list - it may do some damage to your wallet - it did mine, with a number of the titles selected now in my virtual shopping basket. My resolution last year was to read less books and write more. In the end, I read more and probably wrote more as well. Here's my reading pattern for the last three years, with page counts courtesy of Goodreads. All 109 of my 2012 reviews can be found on the book review tab above. 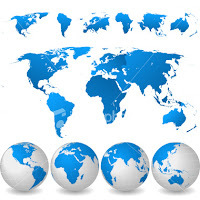 The geographic spread of countries visited is here. 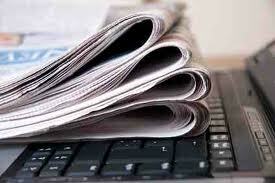 Beyond the books reviewed on this blog, I also read more news media, social media, and academic articles in 2012. The plan this year is to, yet again, look to reduce the number of books read (probably to about 80) and do more writing. As to whether that happens or not, we'll see. I've already read two books this year. Of the 109 books I read in 2012, 78 of them were by 77 authors that were new to me. Some of these authors are well established and I'm a little embarrassed I've not tried them before now (e.g., Val McDermid, Agatha Christie - though I've watched dozens of TV adaptations of their books). Some were debut authors. Of this list, I'd be more than happy to read another book by all of them and that is precisely my plan this year - to try and catch-up with back catalogues and new offerings of authors I've read before, as well as discover some new authors. I already have books by half a dozen or so of the below list on my to-be-read pile. It’s April 1982 in Carrickfergus, Northern Ireland. The hunger strikes only formally ended a few months previously, the assembly lines of DeLorean Motor Company are operating in North Belfast, and Argentina has just invaded the Falklands. Detective Inspector Sean Duffy and his sergeant discover a headless, cut up body in a suitcase, dumped at an abandoned factory. The age of the victim and a distinctive tattoo suggest he was an American veteran of the Second World War. They’ve few other clues to go on and the US authorities and special branch aren’t being helpful. Regardless, Duffy and his colleagues push on with the case making a little headway before hitting a brick wall. Just as it’s about to become a cold case they’re given a cryptic clue. Despite warnings not to proceed, Duffy pushes on determined to solve the murder regardless of the consequences. 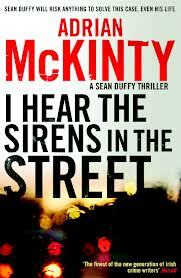 I Hear Sirens in the Street is the second book in the Sean Duffy trilogy. The first, The Cold, Cold Ground was one of my best reads of 2012. This book has many of the same qualities - good historical contextualisation and intertextuality, politically and socially; well-penned, credible characters; a good balance between on and off-duty storylines; and strong sense of place. In particular, the interaction between characters is very good and some of the dialogue sparkles, the prose is often wonderful, and Duffy is a compelling lead character - complex and flawed yet likeable. Where the story is a little weak at times is with respect to pace and plot. For the most part the story flies along, but in the middle section the pace slackens and the narrative felt a little slow and padded. With respect to plot, there were a few elements of questionable credibility or acted as obvious plot devices. They served the story and made for a dramatic climax to the book but nevertheless jarred a little. Overall, I Hear Sirens in the Street is a compelling and entertaining read and I’m very much looking forward to reading the final instalment in the trilogy. I managed to travel virtually to 30 countries during 2012 via the books I read. Here's the breakdown and the full list of titles below.